My babies are now four months old. I cannot believe how quickly time has flown by. The boys are a little less cuddly now (they no longer snuggle up and go to sleep the minute I pick them up), but they make up for that in personality. They each are developing their own distinct personalities, and it is so much fun to see. 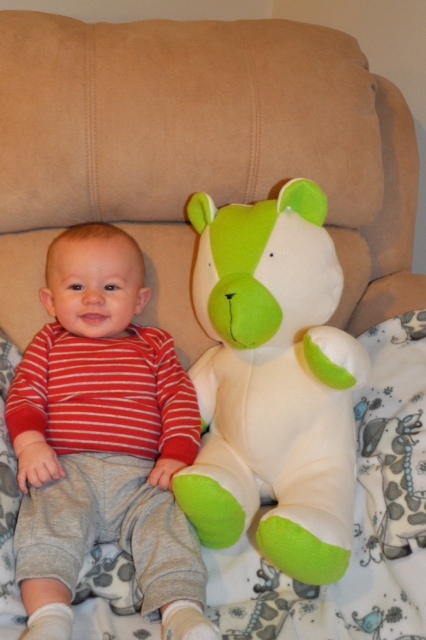 This little guy weighs about 14 lbs now and is about 25 inches long (I’ll get the exact measurements tomorrow at the four month checkup). He loves to smile at his brother, giggle, play with toys, and chew on his hands. He can go from happy to sad (and back) in a second. And he slept through the night for the very first time this weekend. This little guy weighs about 15 lbs and is about 25 inches long. He loves his pacifier, his blanket, bath time, pulling Mommy’s hair, talking, and sticking out his tongue. He prefers to fall asleep while cuddling during the day, but falls asleep decently on his own at night. He still hasn’t slept through the night yet – usually waking up about two times per night. 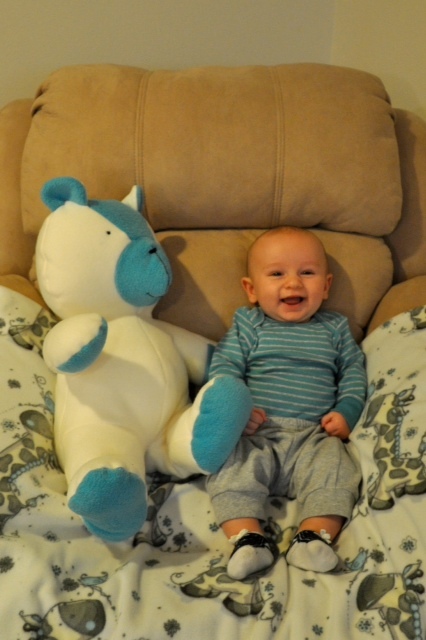 I take pictures of the boys each month next to their bears, to provide a size comparison. I wish I had taken one when they were newborns because they were so tiny, but I started at one month. Still, there has been quite a lot of change since then. 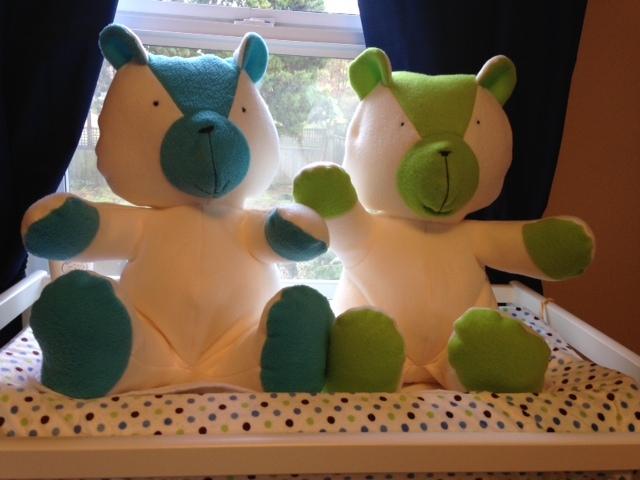 I made the bears for the boys before they were born (apparently, in my head, nesting = make all the things), and I do hope that they love them as they get older. 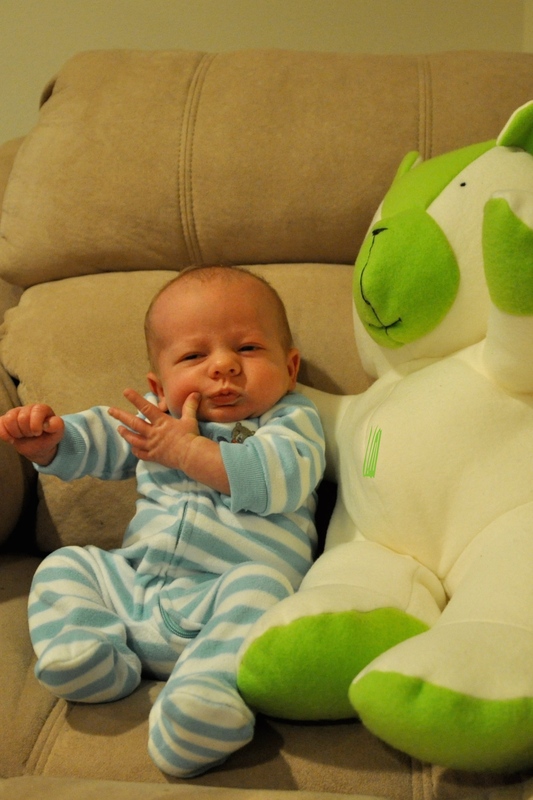 They aren’t really old enough to appreciate stuffed animals yet (especially ones larger than themselves! ), but hopefully they will get there. I used the How Joyful Bear Pattern, which I’ve used at least three times before (and blogged about here). 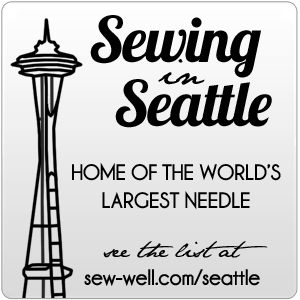 It’s fairly straightforward, provided you have some experience making stuffed animals. But, even if you are a beginner, it should be doable, though a little time consuming. The How Joyful pattern is my go-to pattern for making bears for new babies. I recently saw an idea posted somewhere to make stuffed bears out of baby clothes that are too small. 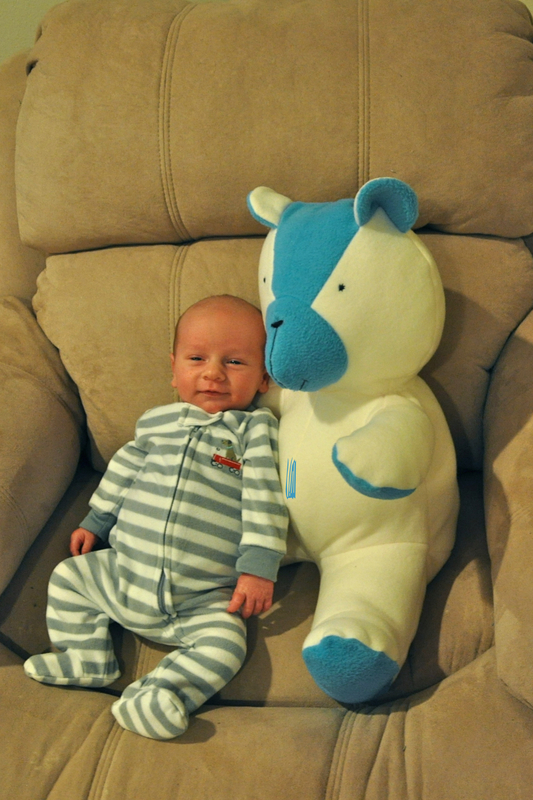 I might try to find a different bear pattern (or make my own) to make smaller bears for the babies with some of the clothes they wore when they were newborns. It’s hard to believe preemie clothes were too big for these boys when they were first born. I would hate to give all of those clothes away, so making a bear or other stuffed animal out of them might be just the ticket.